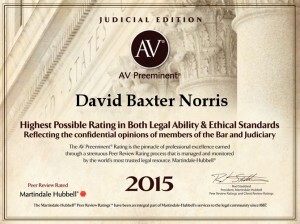 If your legal dispute has risen to the level of civil litigation, arbitration, or mediation, attorney David B. Norris is ready to help. Mr. Norris has been practicing law in California since 1990. Our firm specializes in the representation of clients involved in litigation matters, including employment law, business litigation, commercial litigation, personal injury, general civil litigation, sexual harassment, wrongful death, insurance defense and insurance disputes, construction, contract litigation and transactions and civil problems. You would be hard pressed to find a situation we haven’t encountered before. It is not uncommon for individuals or businesses to find themselves involved in a legal dispute with another party. Whether you are a plaintiff or defendant, hiring a qualified civil litigation attorney is crucial in achieving a successful outcome in your case. Mr. Norris works closely with clients to evaluate their potential claims or defenses related to commercial, professional, employment, and personal dispute that is the subject of litigation. 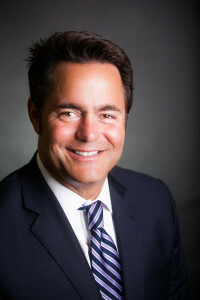 He represents clients before administrative agencies, alternative dispute resolution proceedings such as mediation or arbitration, jury or court trials in state and federal court as well as proceedings before appellate courts. A skilled civil litigation attorney can help clients leverage their negotiating position to reach a beneficial settlement which may be the most appropriate and economical manner of handing certain cases. The firm is additionally active in state and local bar associations acting to improve public perceptions of attorneys and the general practice of law in California. Prior to opening his office, David Norris was associated with the litigation law firm of Hillsinger and Costanzo, A.P.C. in San Diego, for five years. We are a general civil litigation firm primarily representing the interests of individuals and businesses in litigation matters including contractual disputes, commercial litigation, insurance, construction litigation, premises liability, accident and injury litigation, sexual harassment, general tort and civil litigation. Mr. Norris has jury and bench trial experience as well as published case law in California and appeals court experience. Norris also represents the interests of insurance companies and their insureds. The firm is additionally active in state and local bar associations acting to improve public perceptions of attorneys and the general practice of law in California.